Re-Indigenizing food preparation and consumption to restore the spiritual, mental, emotional and physical wellness of the people. Healthy food has always been central to indigenous cultures. Re-Indigenizingfood preparation and consumption is about restoring the spiritual, mental, physical and emotional wellness of the people. Ancestral eating is a growing movement across Native country as well as other parts of the world. Some recognize it as Decolonizing Diet, Ancestral Diet, or Tribal Food Sovereignty. In short, following an ancestral diet means eating wholesome, natural, organic Indigenous foods – just like our ancestors did for thousands of years. Today we can reestablish optimum health of individuals, families, communities, villages and nations by re-Indigenizing and hybridizing our diets collectively in a way that is culturally appropriate for our people. By re-adopting an Indigenous based diet, you'll be assisting in the reconfiguration of your spiritual tie to the Mother Earth. When you strengthen that spiritual tie, your mind will operate with more clarity, empowering you to think critically with an Indigenous mindset. Natural, whole food is organic matter that is made up of energy just like everything else, but because it is created by the earth’s soil, thus it exists at a higher vibration than something that is created by a factory. Processed foods and alcohol, on the other hand, resonate at a low vibration. As a result of being whole and organic, natural foods are more reactive to good thoughts you send towards it, and thoughts are a form of energy. When there is emotion behind your thought, a physical manifestation will soon follow. Our ancestors understood this through our own languages and thought processes, and that is why our ancestors have always prayed over their food and water. We should continue this practice. After adapting to an ancestral diet–– free of alcohol and other mind/mood altering substances–– your body will be stronger and more responsive to your physical fitness goals because it’s not being zapped with unnatural preservatives and additives contained in processed foods and drinks that are detrimental to your body’s biochemistry. Your emotional wellness will also benefit significantly because your brain and body biochemistry will be in harmony. Ultimately, your entire being will function at an elevated level. The re-Indigenization of diet and dedication to eating ancestral foods is simply a return to this holistic lifestyle. Make no mistake, this is NOT a fad diet. Re-adapting to ancestral eating and should be a permanent shift to be passed down for future generations to enjoy. By adapting to this elevated lifestyle, we will create positive economic repercussions as well. We will stop supporting fraudulent food, drug and alcohol corporations who care only about money and not about health. 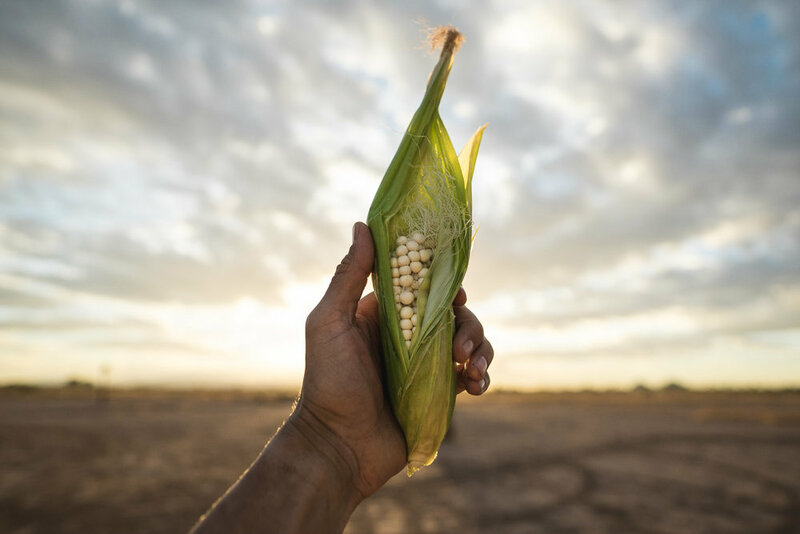 You have the power to positively impact intertribal food commerce by participating in the efforts of Tribal Food Sovereignty through gardening, hunting, gathering, trading and buying from local farmers. Tribal Food Sovereignty is an important nation building tactic which empowers our people through self-determination, ultimately leading to a vibrant and joyous life for us and future generations to come! The true measure of wealth is the quality and availability of food and water! Eat for longevity. Restore the spiritual tie to real food and clean water. As Indigenous people, it is important that we understand why many people in our communities are currently in poor health so that we may better understand the importance of re-traditionalizing our diets now. It is also important to understand that in the days of our ancestors, our communities were most certainly in better health. Further European incursion into the lands–– now known as the Americas–– led to centuries of brutal and devastating colonial practices which continue, to this day, to impact Indigenous peoples’ overall health and wellness. With the depletion of Native lands and confinement of Native peoples to Reservations; with the cultural genocide and epidemic of abuse which took place in the church and in boarding schools; and with a severe drop in population, Native peoples became further dependent on government assistance and Native communities weakened. Distribution of rations about 1892 at San Carlos Agency, Ariz. In the Reservation era, our ancestors were forced into an abrupt change of lifestyle and struggled to adjust to entirely foreign economic and governmental systems. Their traditional ways of hunting, fishing and harvesting were either outlawed or impossible to continue because of the environmental devastation which had already ensued. In a pathetic attempt to make up for treaty violations, the Government began distributing food, healthcare and education to Native peoples. These programs were initiated under the disguise of good-naturedness but in reality only further damaged our communities. Commodity food programs introduced heavily processed, fatty and starchy unnatural foods into Native diets. The Federal government intentionally introduced these cheap and unhealthy foods in Native communities with hopes of systematically wreaking havoc on native minds and bodies. The attack on Native health and wellbeing was to further eradicate the power of the people so that there could be no resistance to the continuing theft of indigenous land and resources; an age old tactic that was used for centuries in ancient Europe. In spite of their ill effects on our bodies, minds and spirits, these harmful foods have become a part of our cultures today. Consequently, Native peoples are suffering from the epidemic of obesity, further resulting in deadly diseases such as heart disease, diabetes, hypertension, infertility, cirrhosis, strokes and various forms of cancer. Euro-American culture has furthermore influenced our people to devalue our spiritual connection to food. The presence of alcohol, drugs and other mind and mood altering substances are a direct negative result of colonization and have contributed greatly to not only the current state of poor health, but also to the mental, emotional and spiritual disconnection that many of our people are experiencing. All of this has disempowered us and if we do not act now, it will continue to hinder our abilities to collectively restore, preserve and evolve our Indigenous cultures and spirituality. We like to encourage people to make steps towards a complete overhaul in food choices, ultimately leading to a permanent change in lifestyle. There cannot be one single diet plan prescribed across the board for everyone because everyone’s bodies and lifestyles are different. Diet plans will vary depending on the person’s level of health and lifestyle. Temporary diet plans are crucial for people such as athletes, body builders, fitness models and actors getting in shape for a movie role. These kinds of temporary diets should always be administered by professional dietitians and nutritionists. For everyone else who’s simply looking to achieve holistic wellness, spirituality and longevity, lets start first by understanding which foods are ancestral foods and then making changes in steps, finding healthier alternatives, and adopting some practices to restore a healthier relationship with food. It is important to understand these practices before we get into recipes. There are some other topics within these practices that should also be recognized like: emotional eating, cheat days, eating in moderation, whole organic food vs supplements, healthy fats, protein, complex carbs, meal preps, and what to look for when eating out. We’ll briefly go over some of these practices and topics and how they’re related to our wellness. tribes and the larger world community. foods and drinks introduced at contact. of the foods, knowing the paths the food has taken from the source (wild, farmed, or gardened) to the table, thanking the food, Mother Earth, and Creator. could identify the food and prepare something healthy with it. * with the exception of certain hybridized components, such as coconut oil. These are ingredients that Indigenous peoples have lived without for thousands of years. Prior to the introduction of these foods, Native peoples lived virtually disease free and in harmony with the Mother Earth. By identifying these products you’re putting them on your food radar to be conscious of when you’re out and about. The idea is to get to the point where you’re not consuming any of these foods or substances. Begin by setting a reasonable and realistic goal for yourself. As you prepare to eventually abandon these harmful substances altogether, you want to reduce your intake of these foods as much as you can over a reasonable period of time. Start by breaking it in half. For example, if you’re used to having something starchy a few times a day, change it to once a day until you’re ultimately not having it at all. Replace it with something high in protein and healthy fats. Remember, ridding yourself of these harmful foods is the key to living a healthy and productive life. This practice should be prominent in your consience as you journey through your day.